I taste a fair amount of pinot noir from California and Oregon, much of it in what I’ll call a big American fruit style, often with high alcohol levels that, to my palate at least, make some of these wines ponderous and cumbersome. 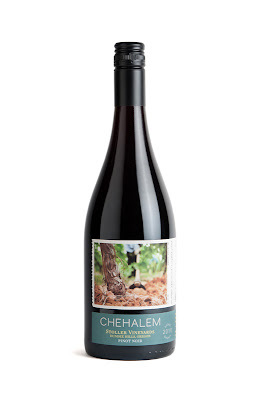 One that falls pleasantly on the other side of the spectrum is Chehalem’s 2010 Stoller Vineyard Pinot Noir from the Dundee Hills of Oregon’s Willamette Valley. This is one of the most exciting American pinots I’ve tasted this year, notable for its generous fruit but also for its beautiful balance. One is struck first by its light ruby color, suggestive more of Burgundy than American pinot noir, which is often much darker. Alcohol is listed at just 13.1 percent, which is almost unheard of today and is reminiscent of levels not typically seen in West Coast pinots in decades. This is part of what makes the wine so fresh and lively. On the palate, red fruits dominate, especially cherry and raspberry. Then there’s some orange and cinnamon stick followed by a touch of cookie dough and some blueberry on the finish. Oak integration is seamless. This would be a wonderful accompaniment to roast herbed chicken, grilled salmon and other dishes that won’t overpower this lovely wine, which, for me, should serve as a role model for the region. The suggested price is $48. Production was 368 cases. Received as a press sample.